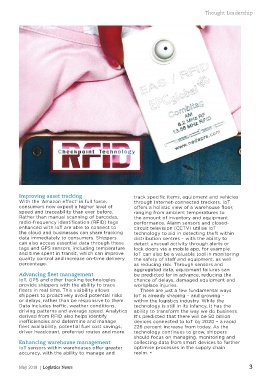 tags and GPS sensors, including temperature        lock doors via a mobile app, for example. provide shippers with the ability to trace         workplace injuries. driving patterns and average speed. Analytics      ability to transform the way we do business.